Let 2019 be the year that you align your yoga with a unique approach to nutrition and how you choose to eat. Allow us to show you how to tap into your inner knowledge, so that you can create harmony on the mat and on your plate, this coming year and every year after. - Weekly meetings (75 minutes each). Live educational group sessions of integrative therapeutic nutrition and yoga. Meetings will be held live via conference call. - Weekly meditation to speak to your body and soul. - Weekly yoga sessions to honor the physical body and connect with intuition. - Private Facebook group for Core Healing participants. 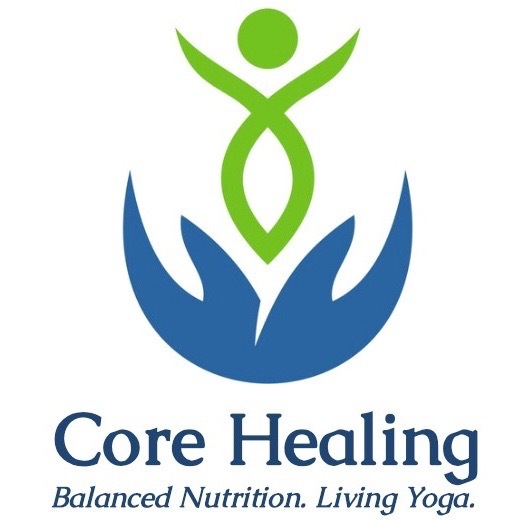 - Email access to your Core Healers (Jen and Lisa). - Bonus opportunities to purchase private sessions with your Core Healers at a discounted rate. The program starts Monday January 7th and will end on Sunday March 10th. All sessions will be recorded so if you can’t attend the live workshop, you will still have access to the recording. Check out the events tab for details on session dates/times.